Love Amid the Ashes by Mesu Andrews tells the emotional and stirring account of Job and the Dinah. The novel brings life, passion and romance into the classic biblical story of suffering and steadfast faith. The book is an epic story of love, forgiveness and, suffering and restoration. After Dinah beloved Grandfather Isaac dies, she must follow his final command to travel to the household of Job and marry his son. What risk will Dinah fight for the survival of this great man brought low? 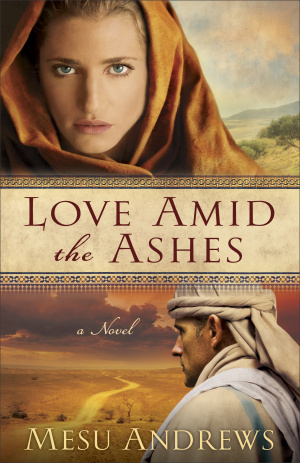 Love Amid the Ashes by Mesu Andrews was published by Baker in April 2011 and is our 5666th best seller. The ISBN for Love Amid the Ashes is 9780800734077. Be the first to review Love Amid the Ashes! Got a question? No problem! Just click here to ask us about Love Amid the Ashes.